The modified Mazzican is now used in Pakistan (photo credit: ILRI). Poor milk quality due to unhygienic handling and mastitis is a common problem worldwide, especially in production systems dominated by smallholders. Use of metal milk containers made from stainless steel or aluminum is usually recommended to address this problem because they are easy to clean and disinfect. However, metal containers are expensive and often too costly so smallholders often use cheaper but unhygienic containers made from non-food-grade plastics. 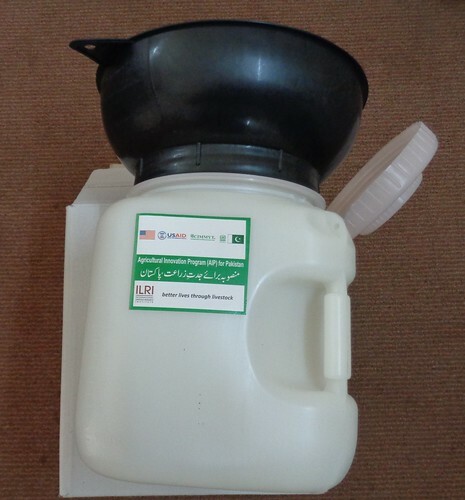 Smallholder milk producers in Pakistan will soon find that a new multi-purpose milk can made from recommended food grade plastic known as ‘Mazzican’ is both more hygienic and affordable. The Mazzican is designed to help in checking mastitis, reduce spillage and ease milk collection and transportation: It has a black funnel design that makes it easy to check for mastitis, a watertight cover to prevent milk spillage, and it is designed to be stackable to ease transportation. The new food-grade plastic milk container is already widely used in Kenya where it was developed by Global Good, a collaboration supported by the Bill & Melinda Gates Foundation to invent, develop, and deploy technology that improves lives in developing countries. 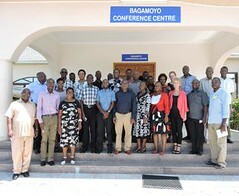 It was tested in 2009 under the partnership that implemented the first phase of the East Africa Dairy Development Project to offer a cheaper alternative for milk handling in the region. Besides improving milk quality, Mazzican will also reduce milk losses. It is now manufactured and distributed by Ashut Engineers Ltd in Kenya and has been introduced in Tanzania. 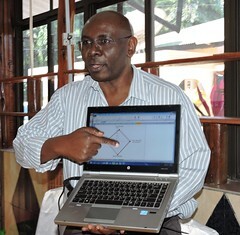 The Kenyan version of the Mazzican was recently modified to suit circumstances in Pakistan following testing by ILRI and partners in the country. With support from the United Agency for International Development (USAID)-funded Agricultural Innovation Program (AIP) for Pakistan, the can’s height was adjusted to suit both cattle and buffaloes and the base was made broader to make it more stable. Two handles were also added to conform to producers’ preference. A local manufacturer, Majeed & Sons Ltd in Peshawar is now manufacturing the cans for wider distribution in Pakistan. Tags: Mazzican, Milk. Bookmark the permalink.